Thank you to those who move to Clarkston to start a business, raise a family, or put down roots. Thank you to those whose roots run a little deeper - those who invested in Clarkston a long time ago, realizing this little town had big potential for a happy life. Thanks for making Clarkston what it is today, and thanks for staying. Thanks to those who devote their time and talents to supporting our schools and boosting community well-being. We're stronger together. We tell our students to notice the small things and be grateful, to be present and appreciate the gifts in their lives. From the bottom of their hearts, and ours, thank you. 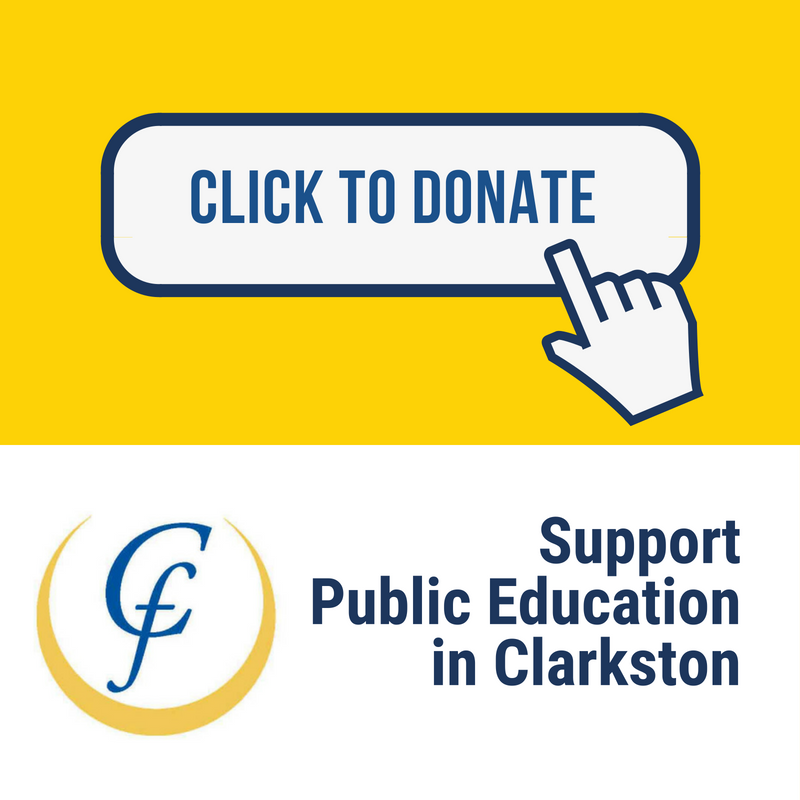 Thanks, Clarkston, for being there for your hometown schools. Everyday, you make a difference in the lives of Clarkston's kids.